Linda Chey is our very own artist and YouTube star! In fact, with 1.3k subscribers she created 2 Lyric Videos that hit one million viewers each on YouTube. She knew she had a knack for intermingling art and technology, so she pursued her education and is now a graduate of DeSales University with a B.S. in Digital Art. Linda is a native of Lebanon and she loves documentaries, Ted Talks, and scary TV shows. 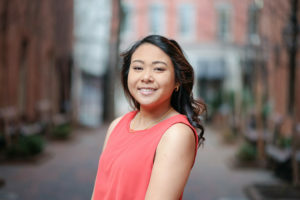 As a first generation Cambodian American, she is motivated by her family. She is a comical genius who is devoting her creative and technical talents to Attollo. Linda’s motto: Embrace challenges and see failures as an opportunity to grow. We influence and develop change agents, leaders who act as catalysts for transformation, with the help of academically aware students, proud parents, an engaged community and a staff that leads by example.